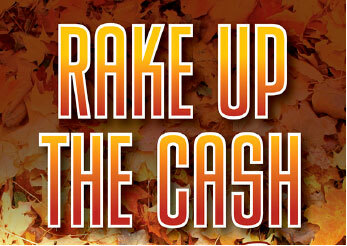 Fly Casino wants you to fall into October by racking in cash, cash and more cash! Your play determines the chances that you will have to win. How it works: Simply come into Fly Casino and make a deposit every day October 5,6,7 and 8th of at least $30.00 or more without claiming a bonus. 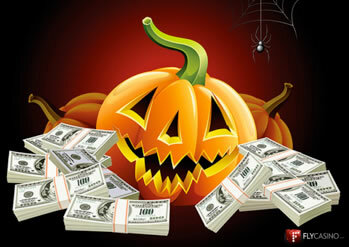 Then, simply enjoy any of our slots by wagering at least $500 on them each day. How to win: It’s so simple! For every $1 that you deposit and play without a bonus, you’ll receive 1 ticket entry into our random prize drawing whereby you are GURANTEED to win anywhere from $50.00 to $500.00 in our random prize draw. You must deposit and wager at least the minimum amounts each day stated to gain tickets and entry into the guaranteed prize drawing. All valid entries are guaranteed a prize. Winners will be credited Friday October 9, 2015. Prizes have a 10X wagering requirement on slots before withdrawing.